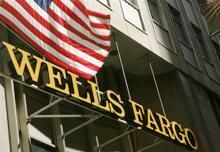 Wells Fargo says the U.S. Justice Department sued it twice over the same dodgy mortgages. If true, that’s unfair as well as a waste. Yes, Wall Street still must answer for the crisis. But duplicative suits from state and federal watchdogs promote resentment, not deterrence. Wells Fargo on Nov. 1 accused the U.S. Justice Department of breaching a $25 billion settlement by filing a new lawsuit reasserting many of the resolved claims. Federal prosecutors on Oct. 9 sued the bank for allegedly certifying falsely that its mortgages and lending practices met Federal Housing Administration standards. In the prior settlement, however, the U.S. government released Wells Fargo and four other banks from liability over largely the same conduct, Wells says. The bank has asked the U.S. District Court in Washington, D.C., to block the government from pursuing its claims. Several state and federal regulators, including the New York attorney general, the U.S. Department of Justice, the Federal Housing Finance Agency and a joint state and federal task force, have sued numerous banks for allegedly deceptive practices in selling mortgages or mortgage backed securities. Though the suits often rely on different laws, they cover generally the same conduct.